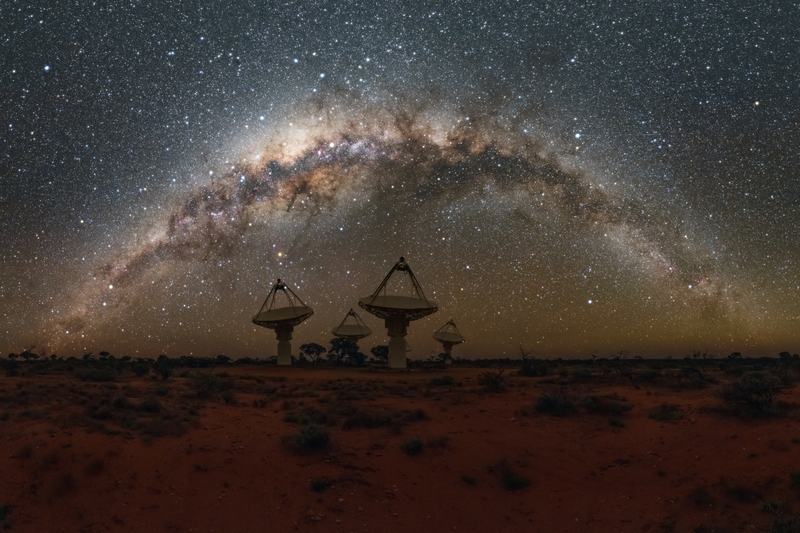 The team's discoveries include the closest and brightest fast radio bursts ever detected. Their findings were reported today in the journal Nature . Scientists don't know what causes them but it must involve incredible energy—equivalent to the amount released by the Sun in 80 years. 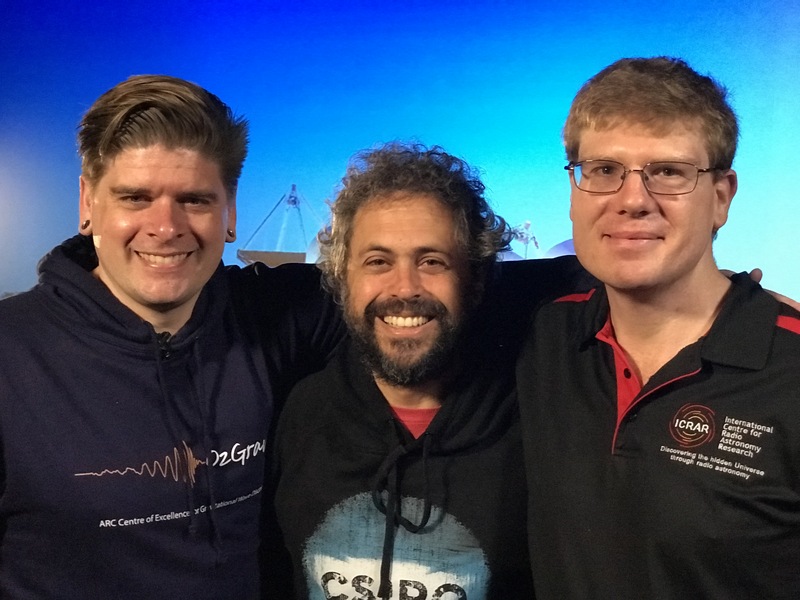 "We've found 20 fast radio bursts in a year, almost doubling the number detected worldwide since they were discovered in 2007," lead author Dr Ryan Shannon, from Swinburne University of Technology and the OzGrav ARC Centre of Excellence said. 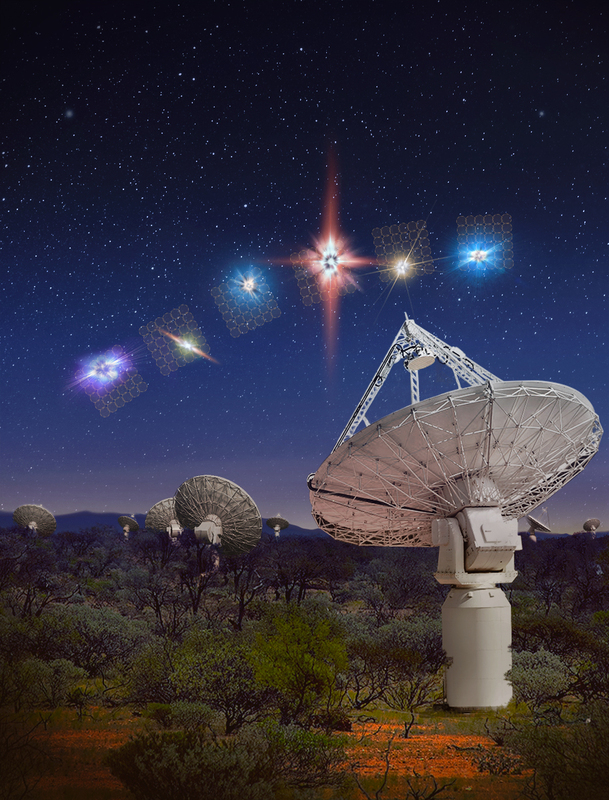 "Using the new technology of the Australia Square Kilometre Array Pathfinder (ASKAP), we've also proved that fast radio bursts are coming from the other side of the Universe rather than from our own galactic neighbourhood." "Timing the arrival of the different wavelengths tells us how much material the burst has travelled through on its journey. "And because we've shown that fast radio bursts come from far away, we can use them to detect all the missing matter located in the space between galaxies—which is a really exciting discovery." "And, by using the telescope's dish antennas in a radical way, with each pointing at a different part of the sky, we observed 240 square degrees all at once—about a thousand times the area of the full Moon. "We'll be able to localise the bursts to better than a thousandth of a degree," Dr Shannon said. "That's about the width of a human hair seen 10 metres away, and good enough to tie each burst to a particular galaxy."